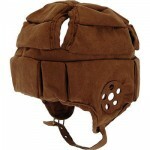 Harry Potter Kids’ Quidditch Helmet from Warner Bros. 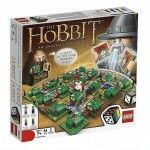 The Hobbit: An Unexpected Journey Lego Board Game from Warner Bros. If you are struggling to find the perfect gifts for tweens, you have come to the right place. Our extraordinary elves are experts at knowing just what to give boys and girls who are at such a tender age in their development. They understand that while those tweens in your life aren’t yet all grown up, they aren’t exactly toddlers anymore and they want the world to know it! When little kid toys like Hot Wheels and baby dolls simply won’t do, and that special boy or girl has outgrown the storybook times of the past, ChristmasGifts.com knows just what to do. We’ve selected some of the most creative merchants available to make sure we offer you a selection of gifts for tweens that are expert elf approved! These wonderful ideas for gifts for tweens are certain to make that special boy or girl feel all grown up this Christmas. Christmas Gift Certificates: When you’re ready to make your favorite tween feel all grown up, a Christmas gift certificate is the way to go! Your tween will absolutely love being able to “cash in” on the gift he or she chooses. Be sure to check out a fun gift certificate/ card holder to present your gift in style! Personalized Gifts: While the elves understand that your special tween probably isn’t interested in personalized storybooks or dolls anymore, we still think personalized gifts are an excellent choice for tweens. One of our favorite ideas for personalized gifts for tweens is the fake magazine cover gift. Simply submit his or her photo, a bit of information about accomplishments, special interests or goals, and before you know it your fake magazine cover will be on its way. 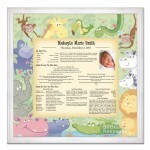 If you are in a rush, you can even print this gift from home. Kids Toys: Let’s face it, that tween in your life may not be quite ready to give up the idea of toys for Christmas. Avoid embarrassing moments and childish toys, however. Instead, opt for items like Harry Potter collectible toys, board games, or even a retro arcade game for the family room.